Ph.D in musicology Case Western Reserve University. Performances on recorder and/or harpsichord with Abendmusik, The Academy of Sacred Drama, Ars Musica, Bethlehem Baroque, Biber Baroque, Brandywine Baroque, MidAtlantic Opera Company, The Queens Consort, VOICES Chorale, Vox Ama Deus, & VOYCES. More than 20 publications on a wide range of music history topics, including performance of 15th-century dance music, 17th-century Roman keyboard music, biographical, archival, and manuscript studies, basso continuo, and the choirboys of the Brussels Collegiate Church of SS Michael and Gudula, ca. 1550 to 1793. Lewis was a Fulbright Scholar, a Fellow of the Belgian American Educational Foundation, and a Board member for Early Music America. He is Director of the Chamber Orchestra of Lafayette College, where he also teaches harpsichord, recorder, and piano, and served as Interim Director of the Marquis Consort Early Music Ensemble. Previously, he was Visiting Professor of Music at Seton Hall University and Adjunct Associate Professor at Mercer County Community College. He was creator and host of the Classical Network & WWFM.org’s syndicated radio show, “Well-Tempered Baroque,” which ran for three years. Jesus has performed with the Annapolis, Maryland, Fairfax, and Occasional Symphonies. 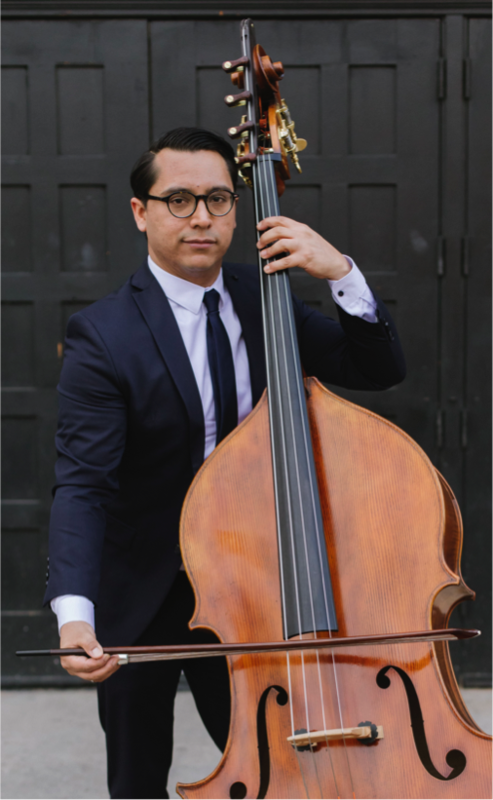 He earned the Bachelor of Music Education degree from the University of Texas at El Paso and the Master of Music degree from the Peabody Conservatory of John Hopkins University.Jesus is studying for the Doctor of Musical Arts degree at the Peabody Conservatory where he is principal bassist of the Conductor’s Orchestra and has been principal bassist of the Peabody Symphony Orchestra under Marin Alsop, Leon Fleisher, and Leonard Slatkin. Prior to moving to Baltimore, Jesus was principal bassist of the El Paso Symphony Orchestra. His primary bass teachers are Paul Ellison and Ira Gold. 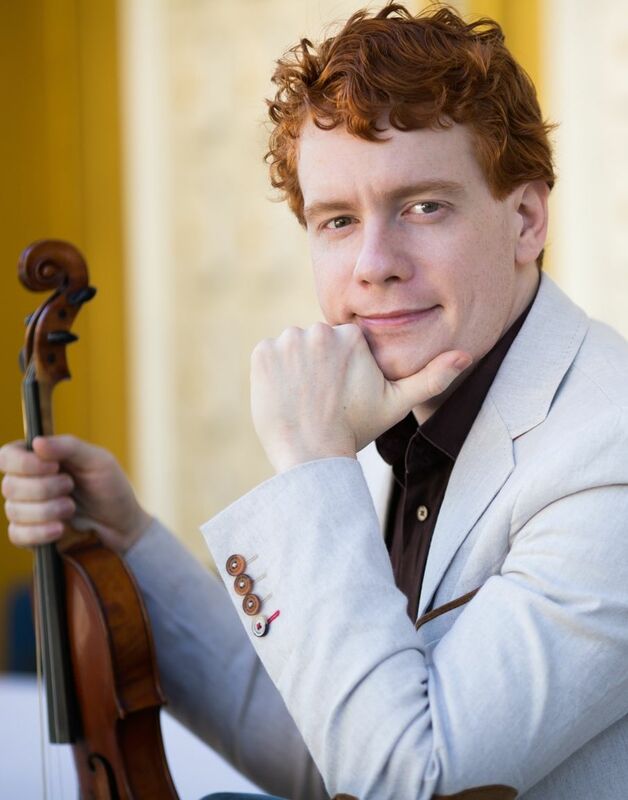 He has participated in summer music festivals at Domaine Forget, Orford, Quebec, Canada, and was chosen to participate in the 13th Annual Pirastro Strings Elite Soloists Program. An avid early music enthusiast, he performs on various members of the violone and viola da gamba family of instruments with the Baltimore Baroque Band. John Armato earned the B.Mus. and M.Mus. degrees from Peabody Conservatory, where he studied guitar with Ray Chester and lute with Mark Cudek. John performs regularly with the Peabody Consort, including concerts at the Kennedy Center and throughout Taiwan and Japan, giving a solo concert at the Kaohsiung Museum of Fine Arts during his third tour of Taiwan. John has performed 17th-century opera scenes with the Seattle Academy of Opera, appeared on WYPR’s “Maryland in the Morning” series, recorded Francesco da Milano’s Recercar XXXIII for the short film Heloise: From Hell and Back for Love, and has recorded an album of English and Italian songs with soprano Nola Richardson, entitled “How Sweet the Torment.” The Washington Post states John’s theorbo playing “rounded out the ensemble weaving spare, delicately plucked accompaniments.” He is founder of Heaven’s Noyse and a principal player in Charm City Baroque. 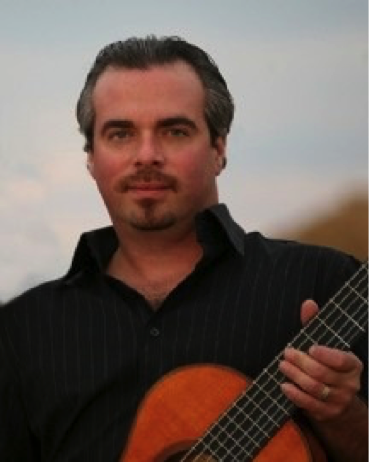 He teaches classical guitar and early music at Montgomery College in Rockville, Maryland, and classical and rock guitar at The International School of Music and Music and Arts. Nadir Aslam has toured Italy, Germany, Austria, Denmark, Greece, and the Netherlands numerous times with various European and American orchestras. 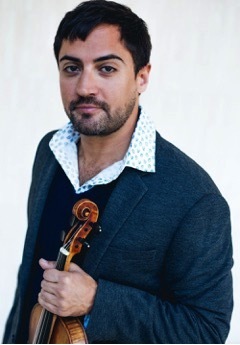 Nadir studied violin at the University of Alaska, Anchorage, the San Francisco Conservatory of Music, where he earned his Bachelors and Masters, and the Hochschule für Musik und Darstellende Kunst in Vienna. As a baroque violinist, he is a founding member of the acclaimed Mount Sinai Concerts in New York City. During the 2016-2017 he will also be performing with Grande Harmonie. Nadir is also committed to outreach and teaching, and was awarded funding from the U.S. State Department to teach and perform as the music director of the Proyecto Arte Antigua in Antigua, Guatemala from 2010-2012. He also served as guest artist and lecturer for Early Music Alberta in 2012. Benjamin received his B.Mus. and M.Mus. in Voice Performance from Mason Gross School of the Arts of Rutgers University. He studied organ with Mark Trautman, harpsichord with Lewis R. Baratz, and voice with Judith Nicosia and Frederick Urrey. Benjamin is music director of First Reformed Church of New Brunswick, conductor of the Highland Park Community Chorus, and co-director of the Joyful Noise Children’s Choir. He performs regularly as a harpsichordist with the period instrument ensemble La Fiocco and attended the baroque academy of the Amherst Early Music Festival last year as a harpsichordist. 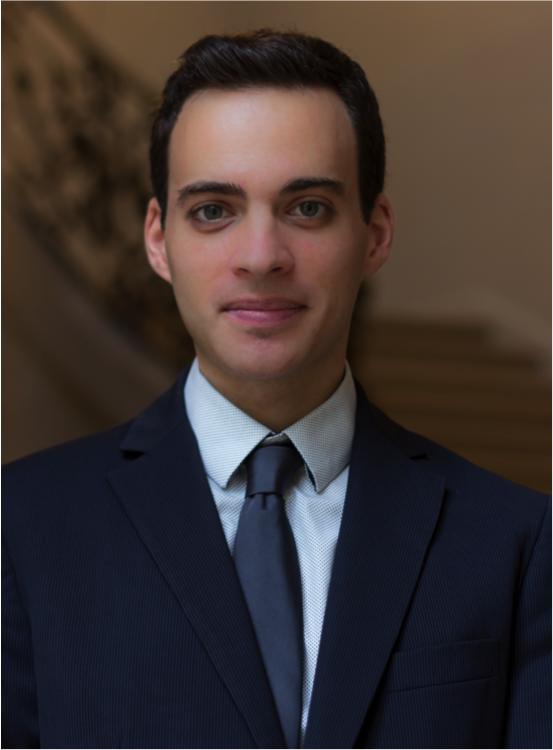 Benjamin appears frequently as a tenor soloist, and he joined the roster of the Opera Philadelphia chorus in September, 2017. He is currently engaged in a project to bring new life to Jewish venues in the Czech Republic, and is looking forward to singing in a recital tour of Moravian synagogues in October, 2018. He is artistic director and vice president of the new Hub City Opera and Dance Company. Visit Benjamin’s website benjamintberman.com to learn more about his upcoming projects and performances. A graduate of the Curtis Institute of Music, Vivian Barton Dozor has performed with distinguished artists as Yehudi Menuhin, Alexander Schneider, Felix Galimir, and others. Her diverse musical activities have included concerts with the Philadelphia Orchestra, Brandenburg Ensemble, Marlboro Music Festival, Orpheus Chamber Orchestra, and Santa Fe Opera. She is a member of the Academy of Vocal Arts Opera Orchestra, Opera Philadelphia, Pennsylvania Ballet, and Vox Ama Deus, and has performed on baroque cello and viola da gamba with Vox Ama Deus, the Philomel Baroque Ensemble, Fuma Sacra, Brandywine Baroque, Tempesta di Mare, Pro Musica Rara, Tafelmusik, Apollo’s Fire, and the American Society of Ancient Instruments, of which she is music director. She has also attended the International Musicians’ Seminar in Prussia Cove, Cornwall, England. Vivian has performed in concerts throughout the United States, Europe, Asia, and South America. A faculty member of Princeton University, she has recorded on the RCA, Dorian and PolyGram labels, among others. 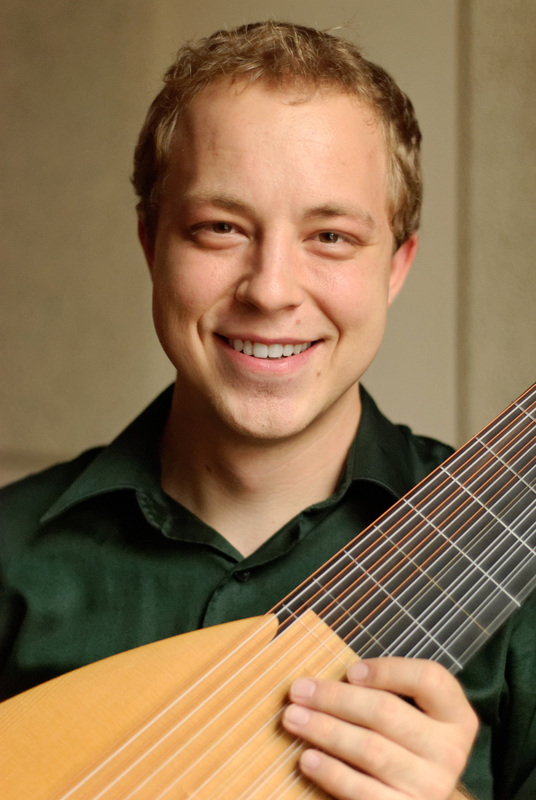 Daniel Boring performs frequently as soloist, chamber musician, and founding member of Due Colori, a soprano/guitar-lute touring duo with soprano Megan Monaghan. 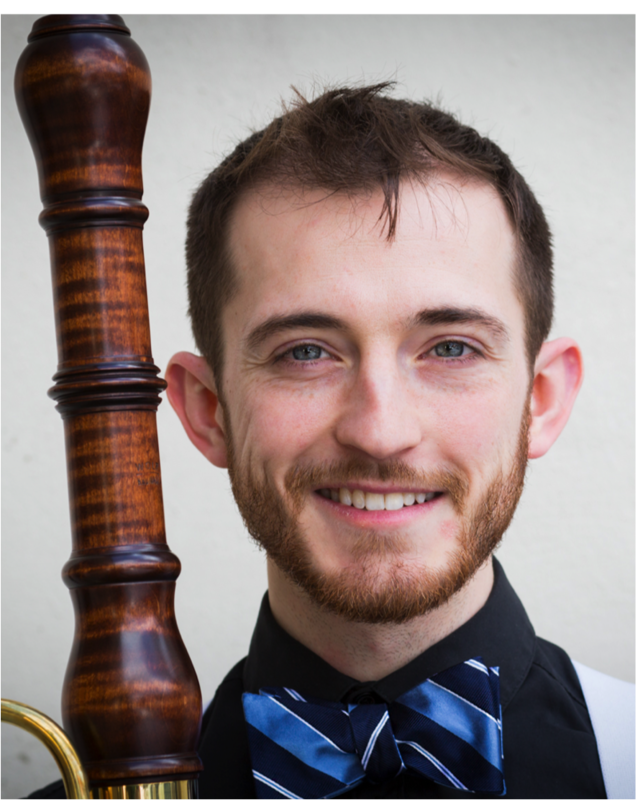 As a continuo player, Daniel performs with several period instrument ensembles including the Philadelphia Bach Festival Orchestra, La Fiocco, American Society of Ancient Instruments, Dorian Baroque, and Vox Ama Deus. He also has performed as lutenist and guitarist with Pittsburgh Opera, Ithaca Opera, Teatro Grattacielo and Glimmerglass Opera. 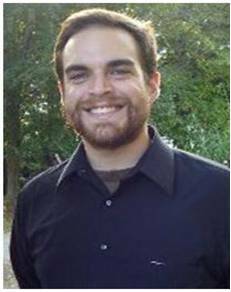 Daniel is a member of the string faculties of Rowan University, Muhlenberg College, and Montgomery County Community College. At Muhlenberg College, he directs the College Chamber Orchestra in addition to teaching historical plucked strings and classical guitars. Sarah Davol’s playing “Graceful and colorful solo playing” (Philadelphia Inquirer). 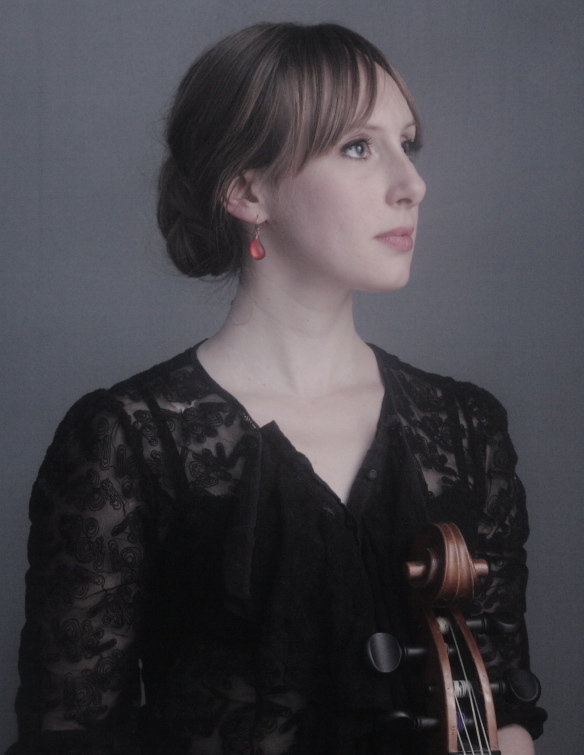 She is a founding member of American Classical Orchestra in NYC, serves as principal oboist of Vox Ama Deus Orchestra in Philadelphia, and has been featured as concerto soloist with Amor Artis, Bachanalia, Big Apple Baroque, Concert Royal, REBEL, RYM Ensemble, Los Angeles Baroque Orchestra, Washington Bach Sinfonia, Connecticut Early Music Festival, and Victoria Bach Festival in Texas. She has toured Germany with Apollo Ensemble and Publick Musick, and South America and Mexico with Chanticleer and Wiener Akademie with actor John Malkovich. In New York, Sarah performs regularly on the Trinity Bach at One series, and The Metropolitan Museum features her demonstration of historical oboes on their Audioguide. She has also performed with the Sebastians, Handel & Haydn Society, Vermont Bach Ensemble, at Tanglewood, and more. She may be heard on 50+ CD’s including Vivaldi’s Oboe Concertos in C Major and D minor with Vox Ama Deus and on the recent Double Take: American Reed on Albany Records, which includes her composition “Gulf Migration” that Fanfare Magazine praised as “a wonderfully descriptive work.” Sarah is director of Englewinds, the award-winning Eco-music ensemble based in NJ. 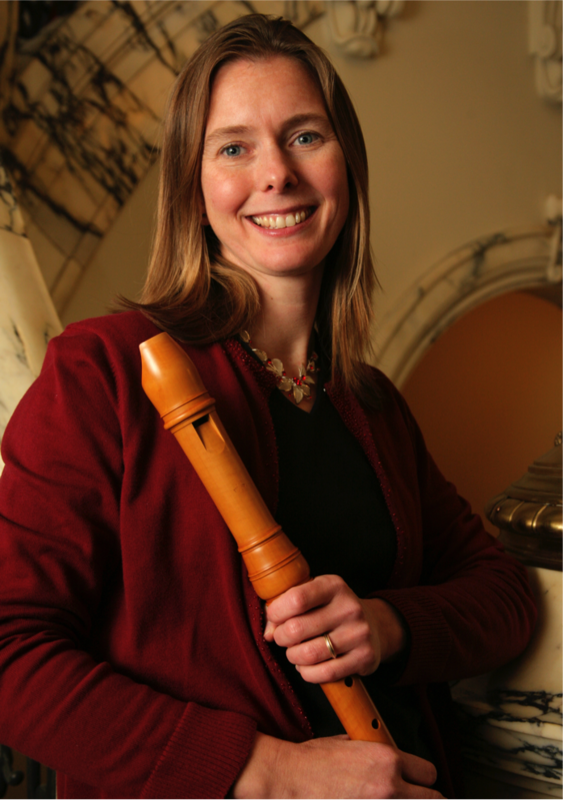 She attended Mount Holyoke College, is currently on the adjunct faculty of William Paterson University, and teaches period wind instruments at Rutgers University. Visit sarahdavol.com. CARLOS FITTANTE, Baroque Dancer/Choreographer. Guest Artist on March 30-31, 2019. 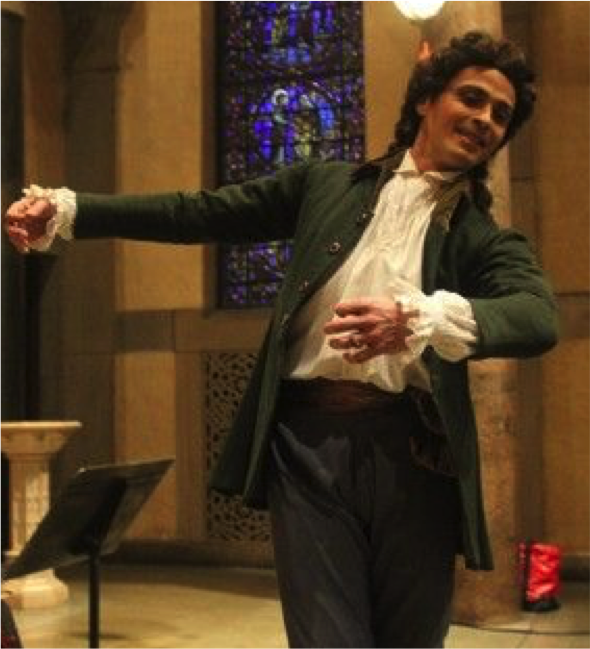 Carlos Fittante specializes in Baroque, Balinese, and Spanish escuela bolero dance. A graduate of the School of American Ballet, he has a MFA. degree in Dance from the University of Wisconsin-Milwaukee. He is a renowned choreographer and specialist in the dance of the Baroque era, and has worked with and several prominent Baroque ensembles including Apollo’s Fire and Juilliard 415. Carlos is artistic director of BALAM Dance Theatre (BALAM), a contemporary world dance company inspired by Balinese theater. Highlights from his diverse performing career include the Metropolitan Opera, New York Theatre Ballet, Semara Ratih Gamelan, Joan Miller and Dance Players, Danzas Españolas, and the Boston Early Music Festival. 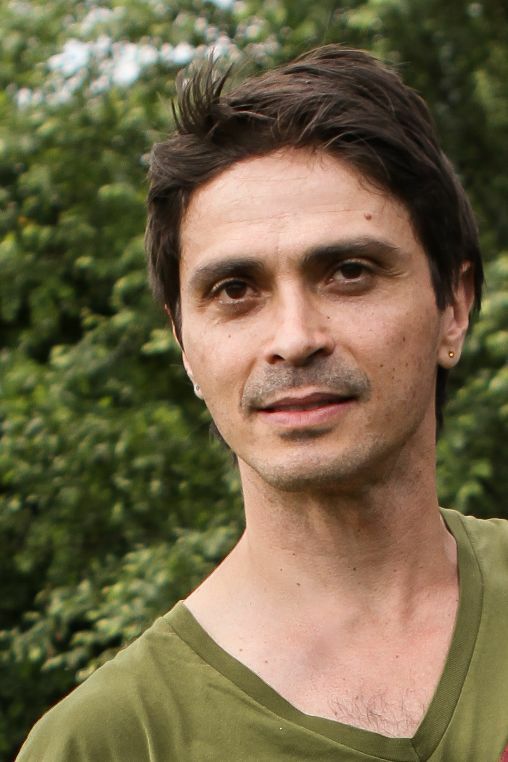 Carlos’ choreography and performances in period dance, fusion, and Balinese dance have received critical praise and have been presented throughout the United States and internationally at venues including Lincoln Center Out-of-Doors, Jacob’s Pillow Dance Festival, Metropolitan Museum of Art, Princeton University, and the Bali International Dance Festival. He has taught Mask and Gesture at the Lee Strasberg Theatre and Film Institute, NY, and currently teaches dance at Queens College, in New York City. 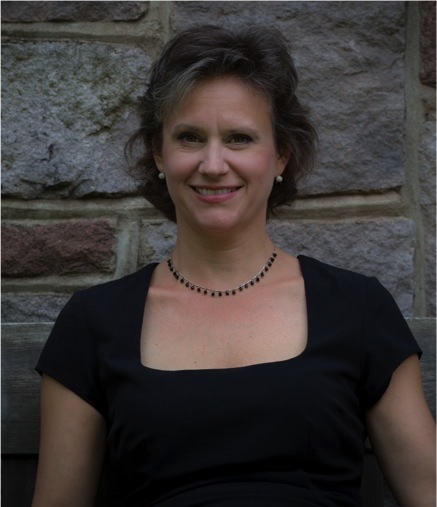 Donna Fournier plays viola da gamba and baroque cello with Mélomanie, aMuse, and Brandywine Baroque and has been a guest artist with such groups as Opera Lafayette, Tempesta di Mare, The Chamber Orchestra of Philadelphia, and The Philadelphia Classical Symphony. The Philadelphia Inquirer acclaimed her solo work as “poised, soulful …[and] played with particular depth.” Donna has recorded Buxtehude cantatas for PGM, Telemann trio sonatas for the Lyrichord, Boismortier trio sonatas for A Casa Discos, Jaquet de La Guerre and Bousset cantatas for Plectra Music, and new music for baroque ensemble for Meyers Music and Furious Artisans. Eve Friedman is a modern and historical flutist. She has recently performed on historical flutes with Tempesta di Mare, American Bach Soloists, and Tafelmusik, and on modern flute with the Chamber Orchestra of Philadelphia, Philly Pops, Opera Philadelphia, the Delaware Symphony, and the world music ensemble EZUZ. Her performances have been broadcast on NPR and the BBC, and her solo playing has been called “particularly fine” by the Washington Post. About her first book, Tone Development on the Baroque Flute, the journal Early Music America wrote, “This carefully researched, imaginative book should be on every baroque flutist’s bookshelf.” Eve serves on the National Flute Association’s Historical Flutes Committee, and has recently been a judge/guest artist for the American Musicological Society, San Francisco Conservatory, and the Flute Society of Greater Philadelphia. Eve received her M.Mus. from Boston University (as a student of Doriot Anthony Dwyer), and holds a D.Mus. from Indiana University. She performs and teaches at the Summerkeys festival in Maine with her husband, composer/pianist Roberto Pace, as the Halcyon Duo, and is on the faculties of Drexel, Rowan, and Temple Universities. Photo by GVR Photography. Robin Gilbert Campos is a professional dancer of remarkable diversity. 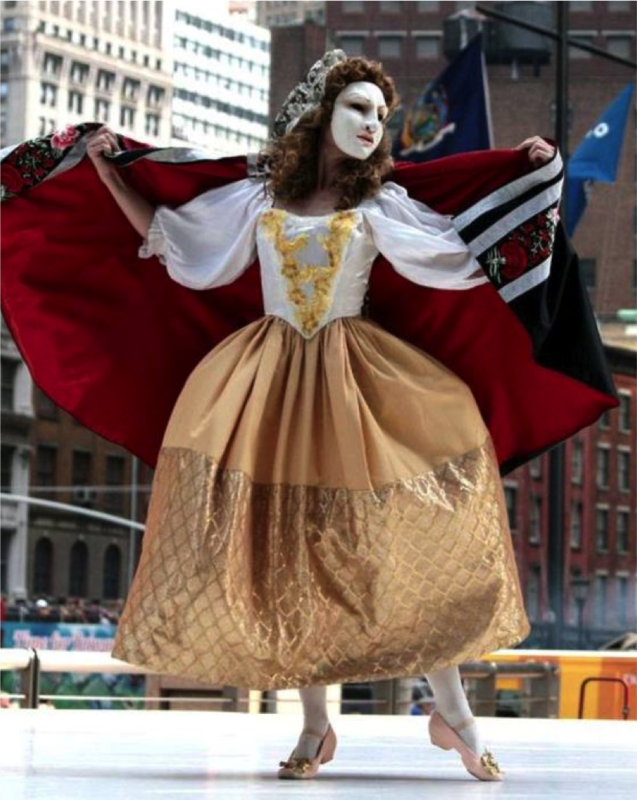 A graduate of the North Carolina School of the Arts, she is a principle dancer with BALAM Dance Theatre in New York City, where she is featured in BALAM’s Baroque repertoire and has also defined the company’s Balinese/point fusion repertoire. Robin’s other period dance credits include performances with Teatro Lirico in Washington, DC, The Haymarket Opera Company in Chicago, IL, Apollo’s Fire Baroque Orchestra in Cleveland, OH, The Kingsbury Ensemble in St Louis, MO, and Voices of Music in San Francisco, CA. 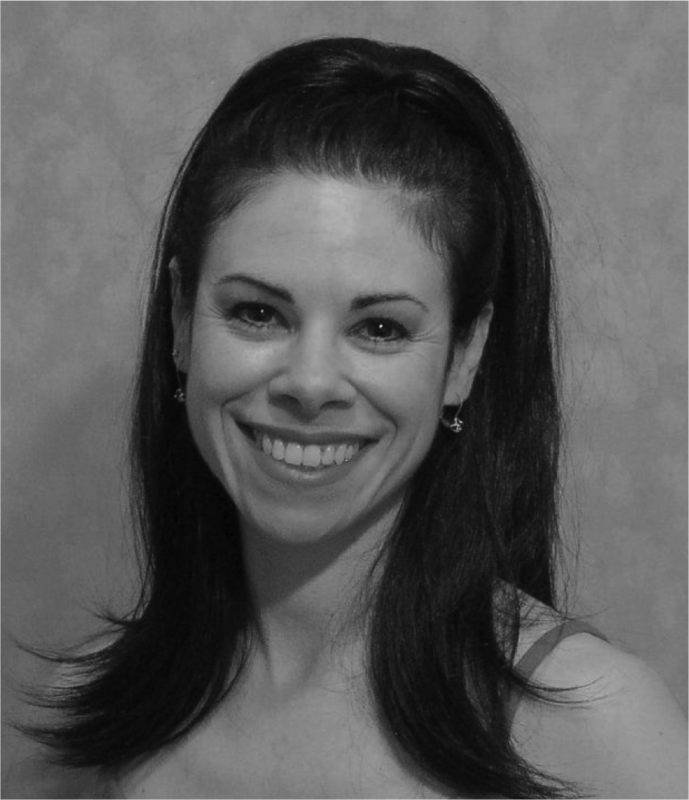 As a contemporary dancer, Robin’s affiliations include Christopher Caines Dance, Michele Brangwen Dance Ensemble, Periapsis Music and Dance, Connecticut Ballet Theatre, Dallas Ballet, Ballet Santa Barbara, Peter Pucci Plus Dancers, Felice Lesser Dance Theatre, and Ballet Verite. Robin has also performed in musical theatre, film and television, and in her non-dance life is a professional drummer and vocalist for the rock band The Generators led by her husband Manny Campos. 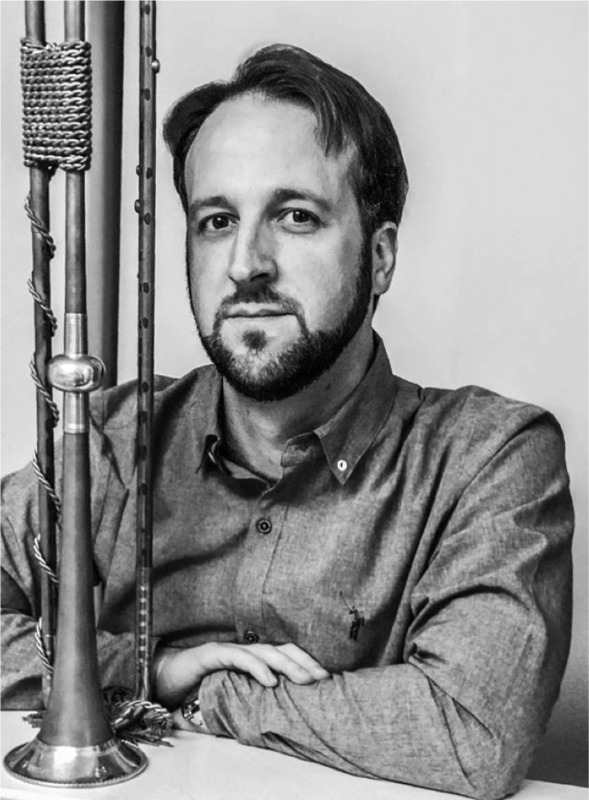 Allen is in high demand as a performer on historical bassoons and recorder. He earned degrees at Indiana University, the University of North Carolina School of the Arts, and in 2014 received the M.Mus. degree in Historical Performance from the Juilliard School where he studied baroque and classical eras bassoons, dulcian, and recorder. He has performed around the globe, including throughout North America, Europe, and Asia, under the direction of esteemed artists William Christie, Monica Huggett, and Leornard Slatkin, among others. He feels highly fortunate to count among his teachers renowned artists Arthur Weisberg, William Ludwig, Kathleen McLean, Saxton Rose, Michael McCraw, and Dominic Teresi. Laura Heimes was the featured artist for La Fiocco’s “Love, Passion, and Magic,” “Saints, Sinners, and Shepherds,” and Délices de Versailles programs. Praised for her “sparkle and humor, radiance and magnetism” Laura Heimes is widely regarded as an artist of great versatility, with repertoire ranging from the Renaissance to the 21st century. 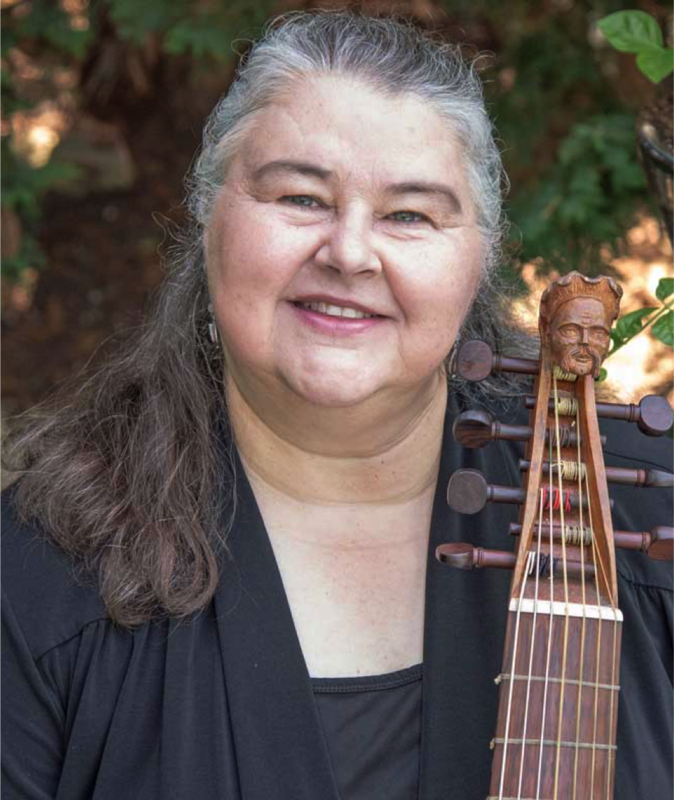 She has collaborated with many of the leading figures in early music, includingV oices of Music, Andrew Lawrence King, ARTEK, Four Nations Ensemble, Tempesta di Mare, The King’s Noyse, Paul O’Dette, Chatham Baroque, Apollo’s Fire, Pegasus Early Music, New York State Baroque, Brandywine Baroque, and Piffaro–The Renaissance Band, a group with whom she has toured the United States. She has been heard at the Miami, Boston, Berkeley, Connecticut and Indianapolis Early Music Festivals, at the Oregon and Philadelphia Bach Festivals under the baton of Helmuth Rilling, at the Carmel Bach Festival under Bruno Weil, Paul Goodwin and Andrew Megill, and in Rio de Janeiro and Sao Paulo, Brazil in concerts of Bach and Handel. With the Philadelphia Orchestra she appeared as Mrs. Nordstrom in Stephen Sondheim’s A Little Night Music. Laura made her Carnegie Hall debut in Handel’s Messiah with the Masterwork Chorus and has she appeared with the Pittsburgh Symphony under Maestro Honeck. With Brandywine Baroque recorded music of René Drouard de Bousset, Jacquet de la Guerre, Clérambault, Purcell, Handel, and the The Jane Austen Songbook, with Julianne Baird. Additional recordings include Monteverdi Madrigals Books 5 and 7 with ARTEK, “On The Just Treatment of Licentious Men” (modern art songs by Peter Flint), Caldara’s “Il Giuoco del Quadriglio” with Julianne Baird, and The Queen’s Chamber Band conducted by Stephen Altop. 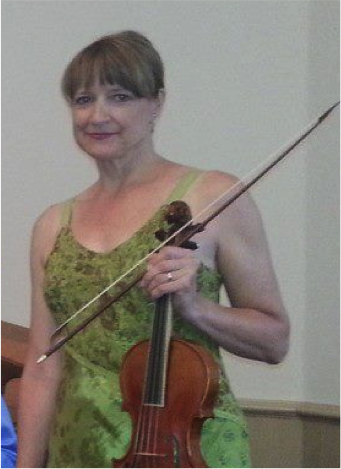 Linda Louise Kistler maintains a busy concert schedule on both modern and baroque violin. 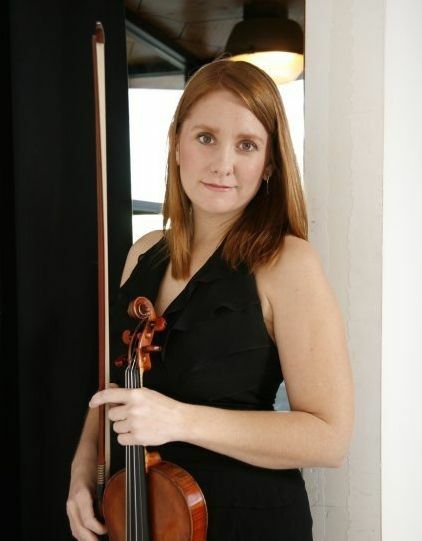 She is concertmaster of the Savoy Company of Philadelphia, has appeared as soloist and concertmaster with the Bethlehem Bach Festival Orchestra and the Pennsylvania Sinfonia Orchestra, and plays with the Allentown Symphony Orchestra. As a baroque violinist, she is a founding member of Bethlehem Baroque and has performed with Le Triomphe de l’amour, Vox Ama Deus, Mélomanie, La Fiocco, and Voices Chorale. Linda has served on the faculty of Lehigh University, Cedar Crest College, Kutztown University, and Lehigh Valley Charter School for the Performing Arts. She maintains a private studio, is an artist-lecturer at Moravian College, and is on the faculty at Allentown’s Community Music School. Linda holds a B.Mus. from Oberlin College Conservatory and a M.Mus. from The Juilliard School. Her principal modern violin teachers were Andor Toth and Ivan Galamian, and she studied baroque violin with Nancy Wilson, Stanley Ritchie, and Robert Mealy. Dan McCarthy’s playing has been described as “virtuosic” by Seen and Heard International. He was in the first class of baroque violists to graduate from the historical performance program at The Juilliard School and he earned the DMA in viola performance from the University of Maryland. 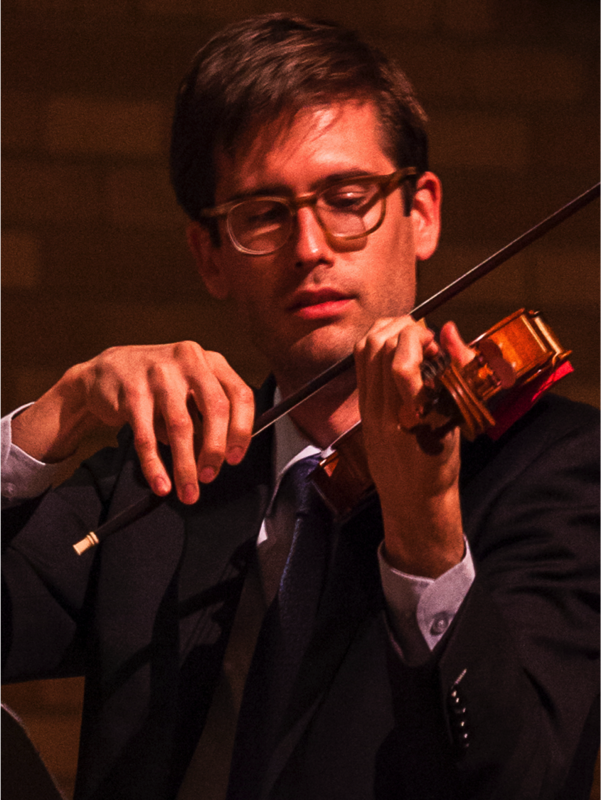 A highly versatile musician, Dan has served as section violist with the Trinity Baroque Orchestra, principal violinist and concertmaster of the Austin Baroque Orchestra, and tenor gambist with Parthenia. He has toured North America, Europe, and East Asia, performed under Jordi Savall and Masaaki Suzuki, and several times with London’s Orchestra of the Age of Enlightenment, Toronto’s Tafelmusik Baroque Orchestra, and San Francisco’s American Bach Soloists. On the east coast, Dan has played with the Academy of Sacred Drama, Brooklyn Baroque, Big Apple Baroque, Yale Schola Cantorum, Dorian Baroque Ensemble, and New Vintage Baroque. He performs frequently with the New York Classical Quartet, Bach Vespers at Holy Trinity, La Fiocco, and The Queens Consort. Daniel Moody has garnered widespread acclaim for his commanding, expressive vocal timbre and breathtaking musicianship. Daniel has performed the title roles in Handel’s Giulio Cesare and Rinaldo, Arsamene in Handel’s Xerxes, Oberon in Britten’s A Midsummer Night’s Dream, and most recently Nerone in Monteverdi’s L’incoronatione di Poppea with Cincinnati Opera. He has sung with renowned groups Les Violons du Roy in Québec City, and is a frequent artist with Apollo’s Fire (OH), Charleston Symphony, Mountainside Baroque (MD) and La Fiocco (PA). Recent highlights include the American premiere of George Benjamin’s Dream of the Song at the Festival of Contemporary Music at Tanglewood Festival, GMGS Series at the Cathedral of Saint John the Divine, two operas with Mark Morris Dance Group and upcoming debuts at Carnegie Hall with Oratorio Society of New York and Musica Sacra. In 2019, Daniel will give a duet recital with famed mezzo-soprano Anne Sophie von Otter with Philharmonia Baroque Orchestra and also makes his debut with Atlanta Symphony. Daniel recently won a George London Foundation Award prize of $5000. For upcoming events visit DanielMoodyCountertenor.com. 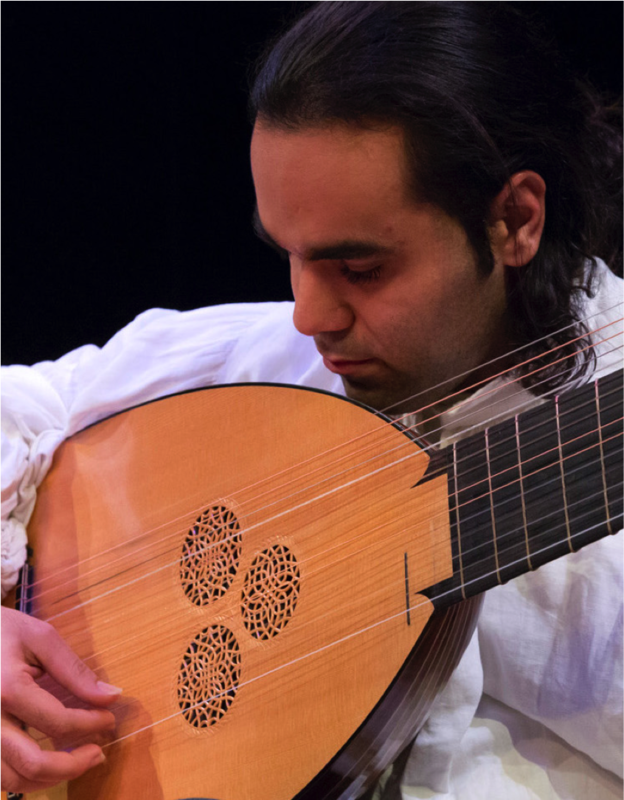 Noted as “the compelling guitarist” by The New York Times, Arash performs throughout North America and Europe on lute, theorbo, and modern and baroque guitar as both recitalist and accompanist. He has been a top-prize winner at several national and international competitions, including the Great Lakes International Festival and Competition and Guitare Montréal. Arash has appeared in performances with Les Arts Florissants, Early Music New York, Orchestra of St. Luke’s, Piffaro: The Renaissance Band, the Sebastians, ARTEK, the Western Wind, Bach Vespers at Trinity Lutheran, The Academy for Sacred Darama, and NOVUS NY of Trinity Wall Street. He is a core/founding member of Cantata Profana, acclaimed for its “intrepid and unexpected concerts” by The New Yorker and the recipient of Chamber Music America’s Award for Adventurous Programming in 2016. Visit Arash’s website arashnoorimusic.com to learn more about his upcoming concerts and events. Noted for playing “virtuosically but with fluid grace” by the New York Times, Jeremy performs on baroque violin with ensembles such as Trinity Baroque Orchestra, the Handel and Haydn Society, and the American Classical Orchestra. He is a specialist in 17th-century oratorio and is exploring ways to extend historical performance practices to performance contexts. Jeremy is the founder and artistic director of the Academy of Sacred Drama, an organization that explores history, music, and culture through the philosophical and storytelling lens of the sacred dramatic music of the 17th and 18th centuries. He has recently led Baroque oratorios by Stradella, Pasquini, and Scarlatti through the Academy and for the Festival of Sacred Arts in Sweden. Jeremy holds degrees from the Eastman School of Music of the University of Rochester and The Juilliard School. Anneke performs regularly at New York’s foremost venues in both modern and period styles. She is solo continuo cellist and artistic director for SIREN Baroque, the internationally acclaimed all-female early music ensemble. She is also a member of the Piano Music & Song Trio, a trumpet/cello/piano trio that improvises over art songs, Skid Rococo, a group with soprano and lute that performs derelict and touching songs of the 18th century, and the Queens Consort. 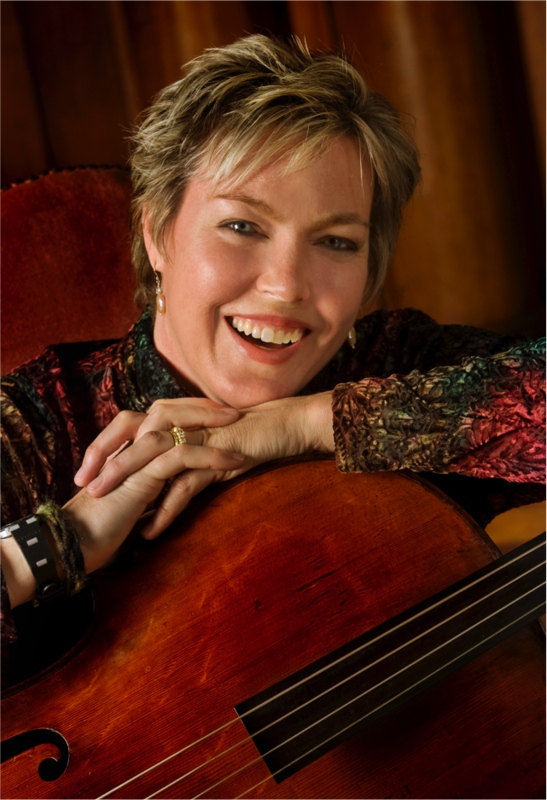 Anneke also performs as solo cellist with the Atlanta Baroque Orchestra, Morningside Opera Company, the Queens Consort, BalletNext, Argento Chamber Ensemble, and other ensembles. With pianist Derin Öge, she presents eclectic chamber music for cello and piano. Anneke has recordings on the Bridge, System Dialing, Naxos, and 3rd Generation labels, and records and collaborates with members of Arcade Fire, TV on the Radio, Antibalas, and the Sway Machinery. She plays on a French cello from 1703 by Jacques Boquay and a 19th-century German cello that was converted to baroque specifications by Giancarlo Arcieri in 2010. 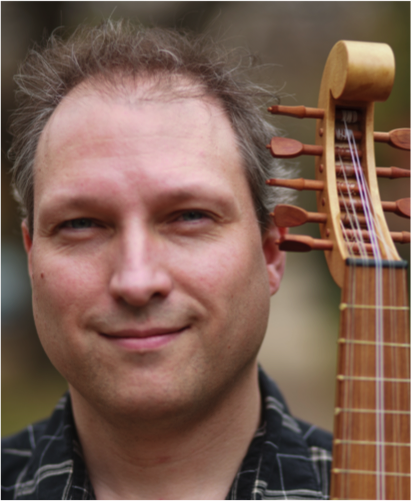 Laudon Schuett is a Renaissance lutenist and early music specialist. In recent reviews, he has been called “a masterful performer…. [and] a brilliant educator” (Classical Voice of North Carolina) with “immaculate articulation and sensitive phrasing” (Fanfare). In addition to performing and expanding the solo repertoire, he formed the lute song duo BEDLAM with Kayleen Sánchez in 2013. They have since toured the country and recorded two albums, “BEDLAM,” and “Died for Love,” both for Soundset Recordings.Laudon has also been a guest lecturer and performer at numerous colleges and universities, including Cornell University, Arizona State University, Baylor University, Wheaton College, University of Kentucky, and Johns Hopkins University. He is a frequent performer with La Fiocco and earned his DMA (Early Music) from the Eastman School of Music in 2014, studying with Paul O’Dette. Claire Smith Bermingham received the M.Mus. in violin performance at Boston University studying under David Kim and currently studies baroque violin with Judson Griffin. She has performed on baroque violin with Siren Baroque, Trinity Baroque Orchestra, Academy of Sacred Drama, Biber Baroque, Dorian Baroque, La Fiocco, Vilas Baroque, Big Apple Baroque, Vox Ama Deus, Voices Chorale, and Yale Schola Cantorum, and on modern violin with Astoria Symphony, Sinfonia Celestis, Greenwich Symphony, Northeastern Pennsylvania Philharmonic, Di Capo Opera, Bronx Opera, Staten Island Philharmonic, and Connecticut Grand Opera. On Broadway, Claire has performed with Sean “Puffy” Combs and “Father Misty Jones” on Saturday Night Live, David Letterman, and The View, in concerts with “Mana,” and as a regular sub for the Off-Broadway production of Sweeney Todd at the Barrow Street Theater, for over a year. As violinist for Ritchie Blackmore’s band Blackmore’s Night, she toured Europe several times. Claire can be heard on Shakira’s album “She Wolf” and on Blackmore’s Night’s “Dancer and the Moon,” “Winter Carols,” “All Our Yesterdays,” and on Candice Night’s “Starlight, Starbright.” Claire is also a founding member and co-director of The Queens Consort, currently in its fourth operating season. Perry Sutton, baroque trumpet, leads a musically diverse life, performing in baroque, orchestral, chamber, and commercial music settings with equal dexterity. Since debuting with La Fiocco in 2013, his early music credits include performances with Apollo’s Fire, Washington Bach Consort, Trinity Baroque, The Portland Bach Experience, and Clarion Music Society. Perry has recently appeared as principal trumpeter with the North Carolina Baroque Orchestra and Tempesta di Mare: The Baroque Orchestra of Philadelphia. Perry has degrees from Mason Gross School of the Arts of Rutgers University, and Rowan University College of Fine and Performing Arts, where he studied with Peter Bond, Kevin Cobb, Bryan Appleby-Wineberg, and Robert Earley. During the times he leaves the trumpet in the case, he enjoys seeking out local craft beer, coffee, and tinkering with his golf game. LOGAN TANNER, countertenor. 2018 Emerging Artist. La Fiocco’s 2018 emerging artist Logan Tanner, a native of Texas, earned his B.Mus. at Baylor University and M.Mus. at Westminster Choir College of Ryder University. Logan recently made his New York debut at Merkin Hall with the New York Repertory Orchestra. He won first place in both the New York Classical Music Society International Competition and the Choralis Young Artist Competition in 2017. 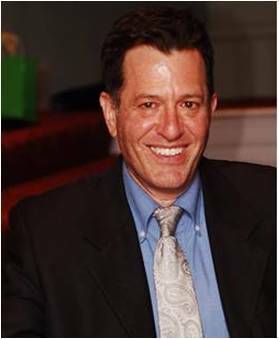 He has been a soloist with the Philharmonic of Southern New Jersey, Choralis, Chorus Austin, New York Chamber Choir, the Henry Purcell Society of Boston, the Arcadia Players, and the Westchester Oratorio Society, and has future performances with Chatham Baroque and the Austin Symphony Orchestra. 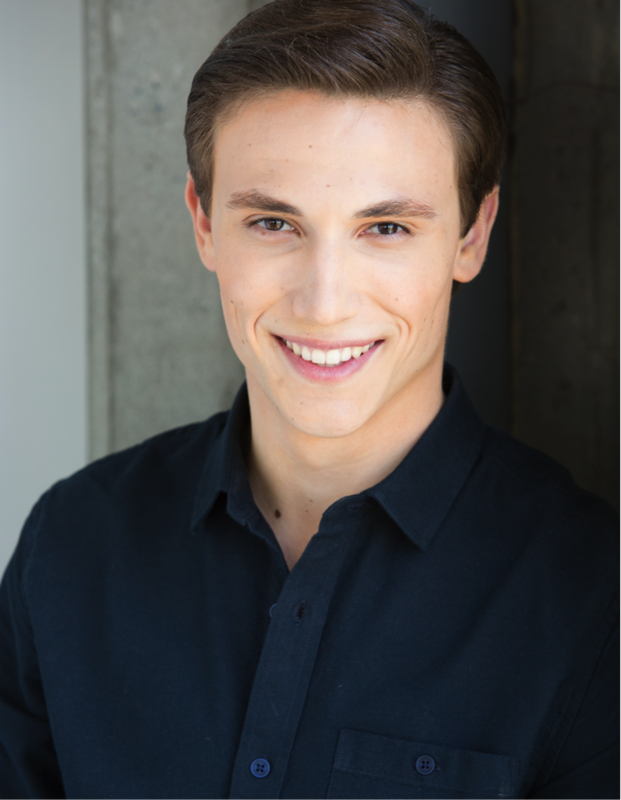 This summer, Logan performed the role of Ruggiero in the Hawaii Performing Arts Festival’s production of Alcina and made his Canadian debut as Oberon in Britten’s A Midsummer Night’s Dream with Halifax Summer Opera Festival. Learn more at logantanneropera.com. Tricia van Oers graduated with high honors in 1998 from the Conservatory of her native city Rotterdam, the Netherlands, with a Teacher’s and Performer’s Degree. She earned the Performer’s with high achievement at the Early Music Institute of Indiana University. Tricia then worked making and testing recorders at the world-renowned Von Huene Workshop in Boston. Based in New York State, her activities include performances with Trinity Baroque Orchestra, New York Early Music, Four Nations Ensemble, Ars Antiqua, Emmanuel Music (Boston), Cantata Singers (Boston), Concert Royal, and the Choral Arts Society of Philadelphia. She has performed as a guest soloist with Tempesta di Mare, Musica Sacra, the Chamber Music Society of Central VA, Amor Artis, and the Bethlehem Bach Festival Orchestra, where she was Artist-in-Residence during the 2017 annual Bethlehem Bach Festival. As a founding member of the Rotterdam-based recorder ensemble Scarabee she recorded at the Great Hall of Mirrors at the Palace of Versailles, France. 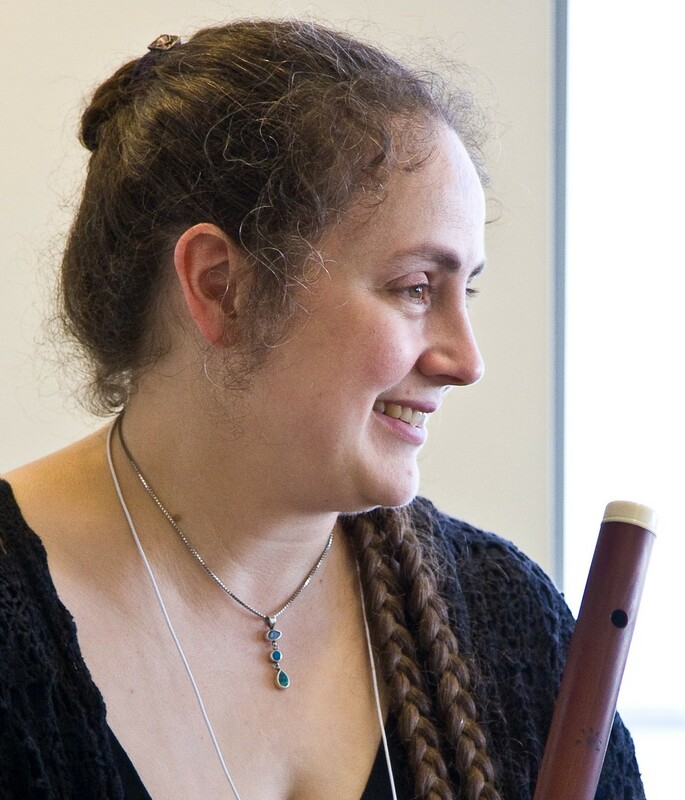 Tricia teaches privately, and regularly coaches at workshops and recorder societies in the Northeast and across the U.S. 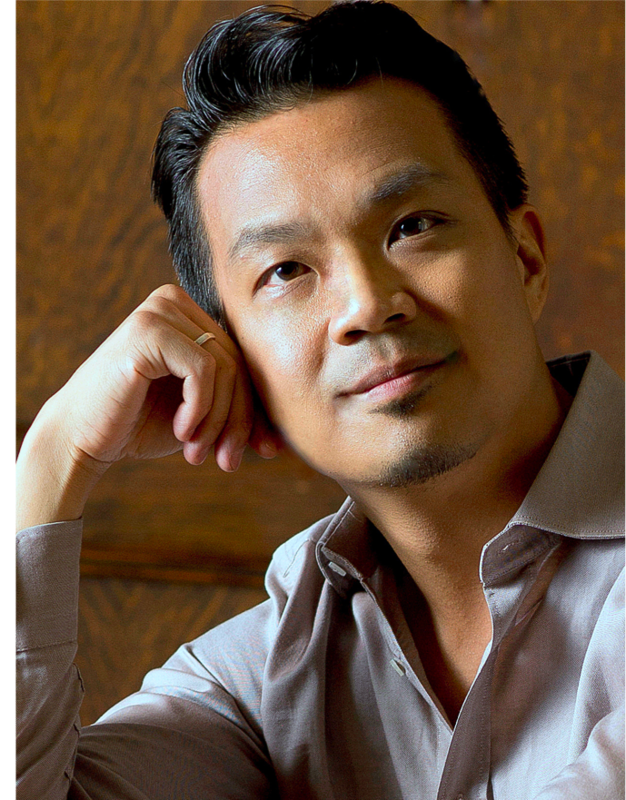 Hailed for his “rich and resonant voice…an impressive performer of wide range, agility, and expressive storytelling ability”(Monterey Herald, baritone Brian Ming Chu has been an oratorio soloist with The King’s Noyse, Brandywine Baroque, Portland Baroque Orchestra, The Dryden Ensemble, Piffaro, Kansas City’s Spire Ensemble, the Choral Arts Society of Philadelphia, the Bach Choir of Bethlehem, and the Carmel Bach Festival, with repeat appearances in the title role of Mendelssohn’s Elijah, the Bach Passions, Haydn’s Creation, the Brahms and Mozart Requiems, and Handel’s Messiah on three continents. Additional solo credits include Orff’s Carmina Burana, Beethoven’s Ninth Symphony, Rossini’s Petite Messe Solenelle, the Verdi Requiem, and most recently the role of Jesus in a reconstruction of Bach’s St. Mark Passion in Philadelphia. Brian has performed numerous roles with opera companies from New York to LA, including signature performances as Marcello in La Bohème, Silvio inPagliacci, The Count in Le Nozze di Figaro, Leporello in Don Giovanni, and the title role in Rossini’s The Barber of Seville. Last season, he debuted the title role of Anton Rubinstein’s rarely-performed opera The Demon at the Academy of Vocal Arts. Brian did his graduate studies in voice/opera at the Peabody Conservatory of Music, and holds a bachelor’s in architecture from Cornell University. Based in Philadelphia, he has taught on the voice faculty of Muhlenberg College (Allentown, PA) since 2005. 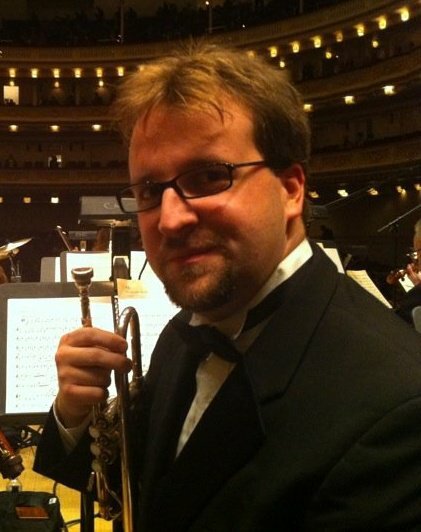 Cornettist Nathaniel Cox began his music career as a trumpet player, earning Bachelor degrees in trumpet performance and Russian literature from Oberlin College and Conservatory in 2008. Nathaniel was then awarded a Fulbright scholarship to study cornetto with Bruce Dickey at the Schola Cantorum in Basel, Switzerland. 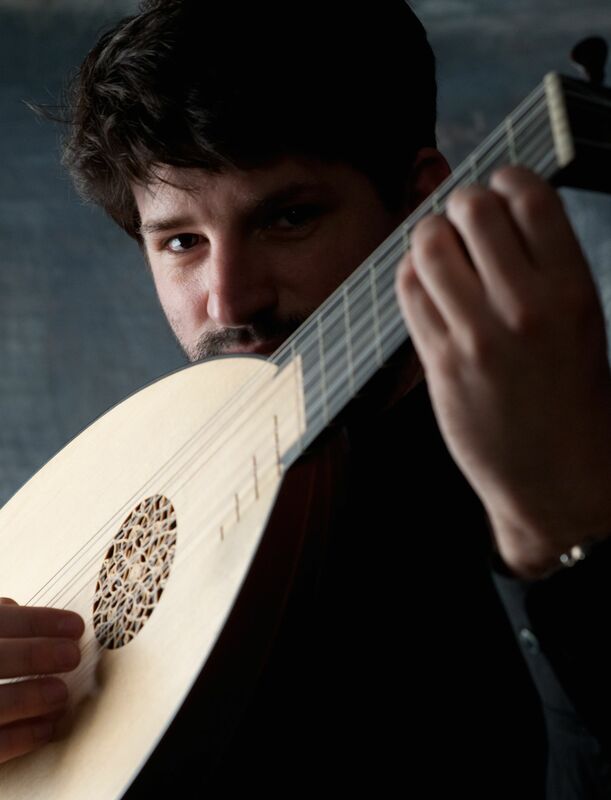 He is in high demand as a cornettist, specializing in late 16th- and 17th-century music, and also as a continuo player on the theorbo, which he began playing in 2011. Since moving back to the United States in 2014 he has performed with some of North America’s leading early music ensembles, including Apollo’s Fire, The Toronto Consort, Ensemble Caprice, Bach Collegium San Diego, and the Dark Horse Consort. He is now based in Boston where he is a regular member of several ensembles and teaches both privately and at the Amherst Early Music Festival. Ray was featured in the October 2015 issue of Opera News as one of 25 rising stars, saying “Ray Chenez’s countertenor is bold and assertive but also warm-toned and luxurious. He has a naturally electric presence, and his diction is precise no matter how high he sings.” Ray has been called “luxury casting” by the New York Times, and possessing a “dramatic soprano voice which oozes potential” by Opera Britannia. Ray is a winner of the prestigious 2014 George London Award and is rapidly establishing a major international career in opera. Recent roles include Marzia in Leonardo Vinci’s Catone in Utica (Opéra Royal de Versailles, Theater an der Wien, Hessisches Staatstheater Wiesbaden, Bergen International Festival, George Enescu Festival), and Cherubino in Le Nozze di Figaro (Pacific Opera Victoria, Nickel City Opera). Ray’s roles this season include Nutrice/Amore in Luigi Rossi’s Orfeo (Opéra National de Lorraine à Nancy, Opéra Royal de Versailles), Athamas in Semele (Opera Omaha), and Hunahpu in Purcell’s The Indian Queen (Geneva and Cologne). Ray studied at the State University of New York at Fredonia and Florida State University. He is a winner of the Metropolitan Opera National Council District Auditions among many other competitions. For a full schedule of Ray’s concerts and opera performances here and abroad, visit raychenez.com. 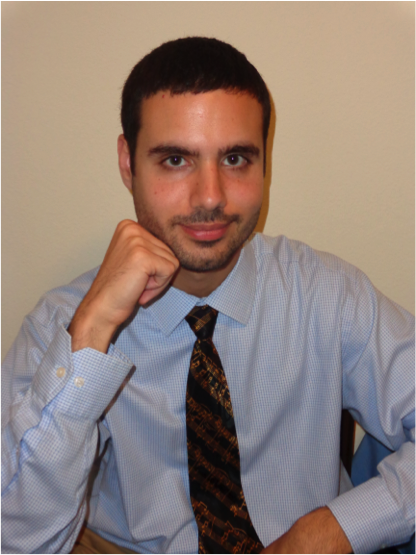 Benjamin Bernard is a Ph.D. candidate in the Princeton Department of History. He recreates historical soundscapes to enrich his specialization: the cultural and political history of 17th- and 18th-century Europe. Benjamin studied alto and tenor trombone and sackbut with Scott Hartman at Yale University, where he also served as music director and manager of the Yale Undergraduate Madrigal Singers and performed with the Yale Collegium Musicum and Yale Symphony Orchestra. After graduating in 2011, he played trombone with the Orchestre EDF and a brass quintet in France at such venues as Salle Gaveau, Cité de la Musique-Philharmonie 2, and the Palais du Pharo. He performs regularly with Early Music Princeton. He currently resides in New York City. Martin recently graduated from Hunter College High School and studied recorder with Nina Stern and baroque bassoon with Andrew Schwartz. 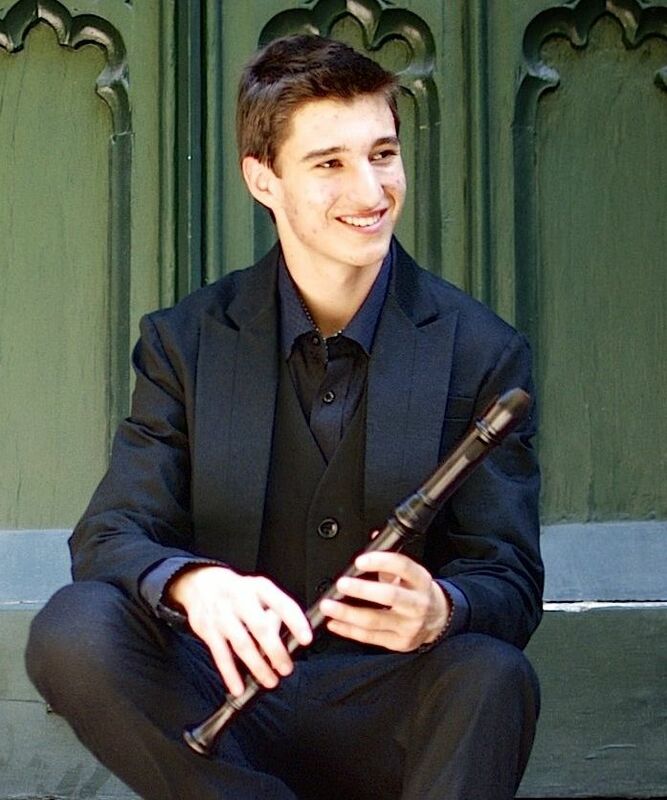 Martin won the Piffaro Young Artist National Recorder Competition in 2013 at age 15, and at 17 took first prize in the “Under 21” category of Belgium’s 2014 International Mieke van Weddingen Competition, the first American to do so. 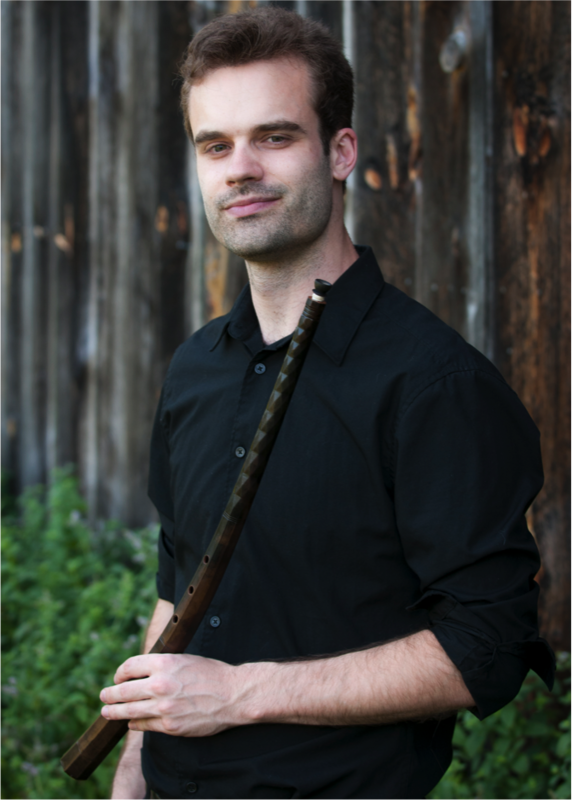 Martin has studied and performed at numerous early music festivals and workshops and has participated in masterclasses throughout the US and Europe with renowned performers. In September 2015 he began college-level recorder studies at the Royal Conservatory in The Hague, The Netherlands. 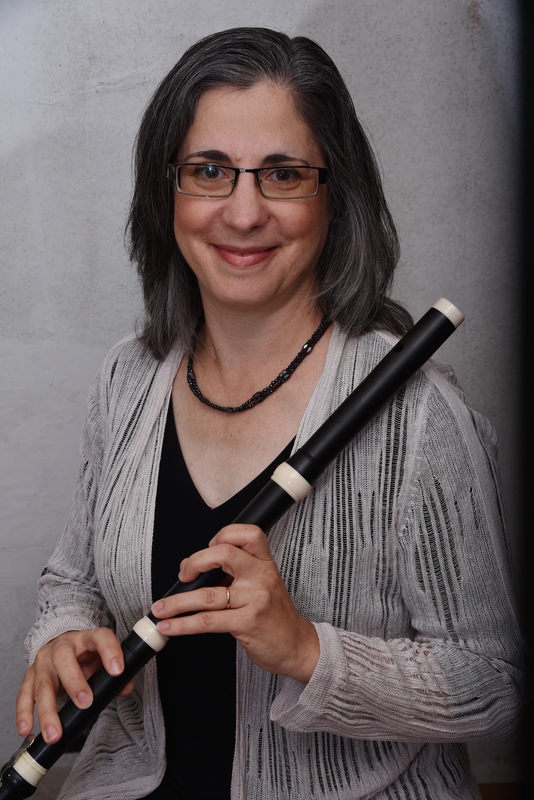 Ann Bies has played, performed and coached recorder and baroque flute in the Philadelphia area for more than a decade, with particular interest in 16th- and 17th-century repertoire, music of the high baroque, and recorder consorts. She is a member of the Penn Baroque and Recorder Ensembles and of Nojé, taught recorder at Main Line School Night and coaches the ensemble Quintossential. She has studied with Gwyn Roberts and in masterclasses with Saskia Coolen, Marion Verbruggen, Dan Laurin, and Han Tol, among others. As well as recorder and flute, she plays the Balkan folk instruments kaval and tilinka. She is a member of the Monique Legaré International Dance Company, the Mother Zwiefacher Orchestra, and the English country dance band Earl Grey, Hot. 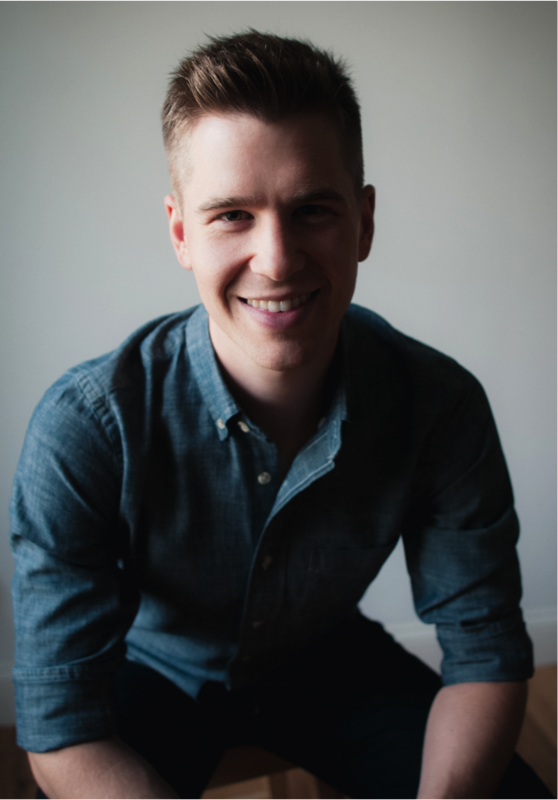 Andrew Broadwater attended the Peabody Conservatory where he earned his Bachelors degree in viola and recorder performance, while also studying composition. He is a former member of the Baltimore Baroque Band, Peabody Renaissance Ensemble, and the Peabody Consort. The Indianapolis Gazette described his playing as having “greatly impressed” a delighted audience. Andrew is also an active player of the steel pan, participating in both the New York and Trinidad panorama competitions and performing with several illustrious musicians including Ray Holman and Yo-Yo Ma. In 2011 Andrew received his Masters degree in Film Scoring from New York University. His music has since been used in film and television on several networks including NBC, CW, and PBS. Recent projects include two albums of his own production, Let It Ring and Heartstrings. Andrew has served on the music faculty at Lancaster Bible College and currently teaches at the Community College of Baltimore County and at the Maryland Music Academy. He also has maintained a studio of private students for over 10 years. 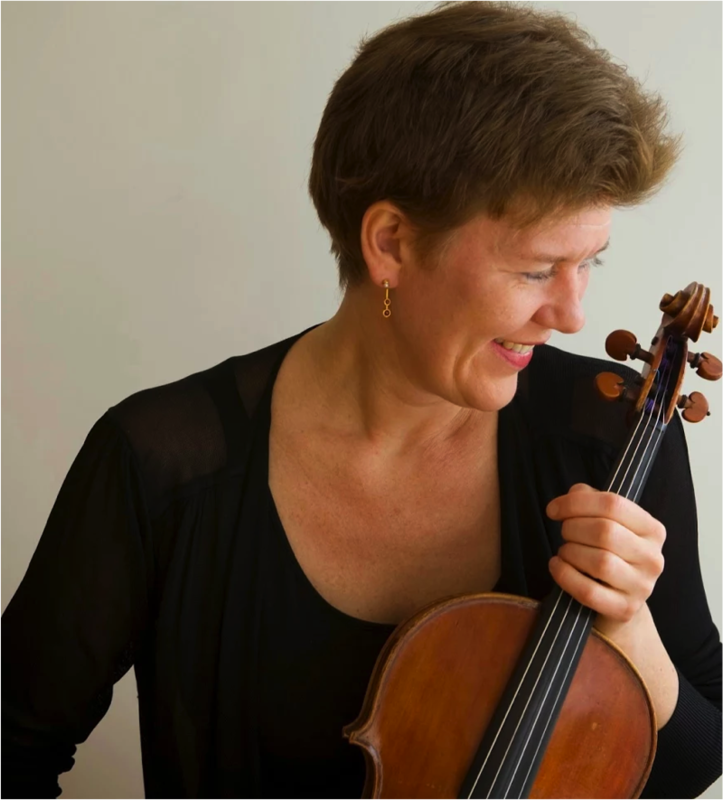 Violist Margrét Hjaltested, originally from Iceland, enjoys a diverse career as a performer and teacher in New York City. She is a founding member and co-director of the baroque ensemble Queens Consort and a founding member of the Icelandic chamber group, Tríó Fókus. Margrét has been a recitalist and chamber musician in concerts at the Weill Recital Hall at Carnegie Hall, the Bruno Walter Auditorium at Lincoln Center and the Tenri Gallery. She has played with many orchestras, including the New Jersey Symphony Orchestra, the American Composers Orchestra, the Albany Symphony, and as a baroque violist Margrét has performed with the American Classical Orchestra and Concert Royal. She has toured internationally both with the New York Symphonic Ensemble, the Icelandic Symphony Orchestra, Luciano Pavarotti´s International Farewell Tour and with the award-winning Icelandic pop artist Björk. Margrét is currently on the faculty of Queens College and SummerKeys in Lubec, Maine. She is graduate of the The Juilliard School and the Mannes College of Music. Rebecca Humphrey recently moved from Melbourne, Australia, where she was a founding member of Pleiades and performed regularly with the Eclectus Consort, the Australian Chamber Choir, and the Australian Baroque Ensemble. She currently lives in the Philadelphia region and performs regularly with Washington Bach Consort, Pan Harmonia in Asheville, NC, and as a founding member of Philadelphia-based Kleine Kammermusik and Aurelio. 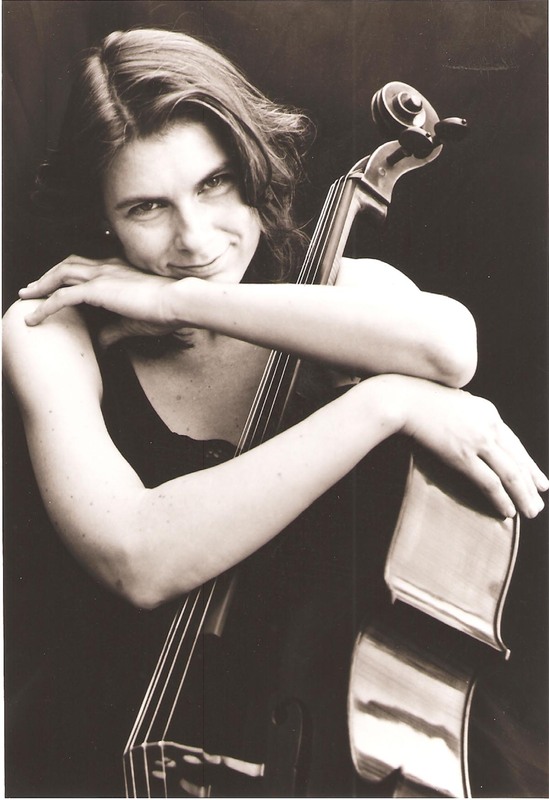 She was principal cellist with Tempesta di Mare for seven years and appeared several times with Quicksilver. Formerly, she was principal cellist of the Luzern Kammerensemble and Capriccio Basel. Her recordings with Tempesta di Mare on the Chandos Label have received wide acclaim, and the group has toured extensively with their “Flaming Rose” program featuring soprano Julianne Baird. Loren Ludwig has been praised by the Washington Post for his “impeccable intonation and cleanness of tone.” Loren aspires to the generosity that he hears in the most inspiring music around him. In demand as a viola da gamba soloist and ensemble player, he is a co-founder of LeStrange Viols and performs with ACRONYM, the Oberlin Consort of Viols, the Folger Consort, Hesperus, and a slew of other ensembles that specialize in the consort music of the 16th and 17th centuries, the harmonious combination of multiple instruments of the same family. As a performer of contemporary music, he was recently heard as the viol soloist at the American Premier of George Benjamin’s opera Written on Skin at Lincoln Center and he works with numerous contemporary composers, improvisers and ensembles. As a musicologist, Loren researches what he terms “polyphonic intimacy,” the idea that music in the Western tradition is constructed to foster social relationships among its performers and listeners. His current scholarship explores these ideas in the confluence of music and alchemy in the early 17th century. Visit his website at lorenludwig.com. 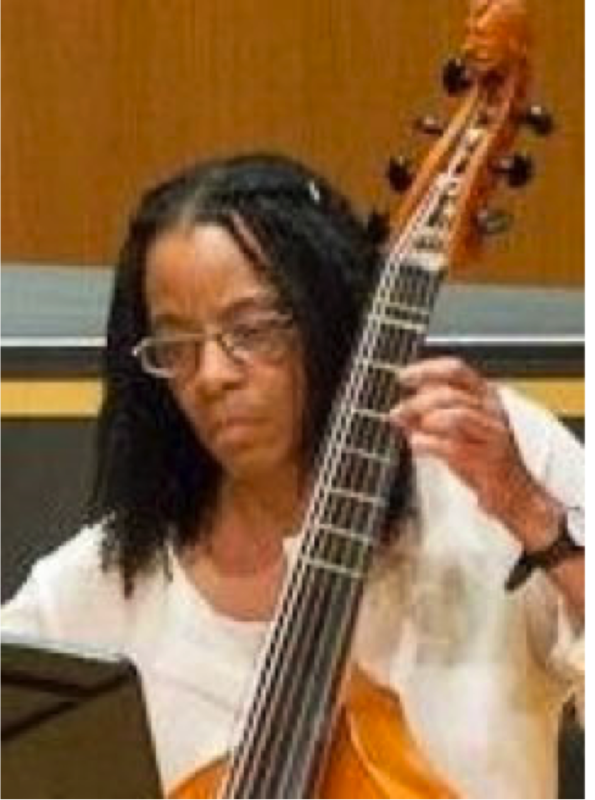 Patricia Ann Neely has appeared with many early music ensembles including the Folger Consort, Smithsonian Chamber Players, the New York Collegium, Washington Bach Consort, the Boston Camerata, Boston Early Music Festival Orchestra, The Newberry Consort, Bach Vespers at Holy Trinity, The New York Consort of Viols, and Early Music New York, among others, as well as with Glimmerglass Opera and New York City Opera,. She is a founding member of the viol consort Parthenia and is director of the early music string band Abendmusik. She spent three years touring with the acclaimed European medieval ensemble Sequentia, performing at festivals in the Netherlands, Germany, Poland, and Canada. Patricia began playing the viol at Vassar College and continued her studies, earning an MFA in Historical Performance at Sarah Lawrence College, with additional studies in Belgium with Wieland Kuijken. Patricia has recorded for Arabesque, Allegro, Musical Heritage, Deutsche Harmonia Mundi, Ex Cathedra, Classic Masters, Erato, Lyrichord, and Music Masters labels. 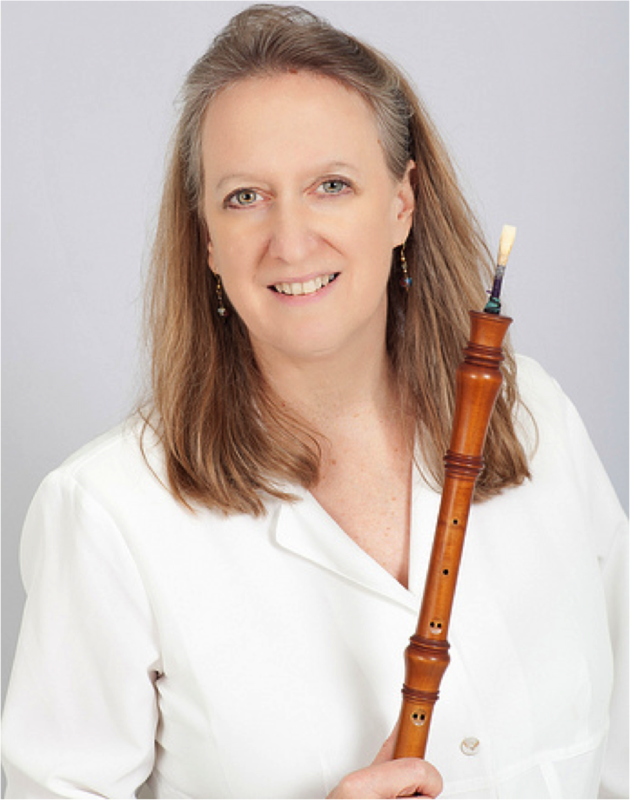 She was Executive Director of the Connecticut Early Music Society and Festival from 2012 until 2015 and has been faculty member at the Amherst Early Music Summer Festival, the Viola da Gamba Society of America Conclaves, Viola da Gamba Society of both New England and New York workshops, and Pinewoods Early Music Workshop. She is currently on the faculty of The Brearley School. BM in Vocal Performance and BA in Music, University of Washington in Seattle; MM in Vocal Performance, New England Conservatory of Music. 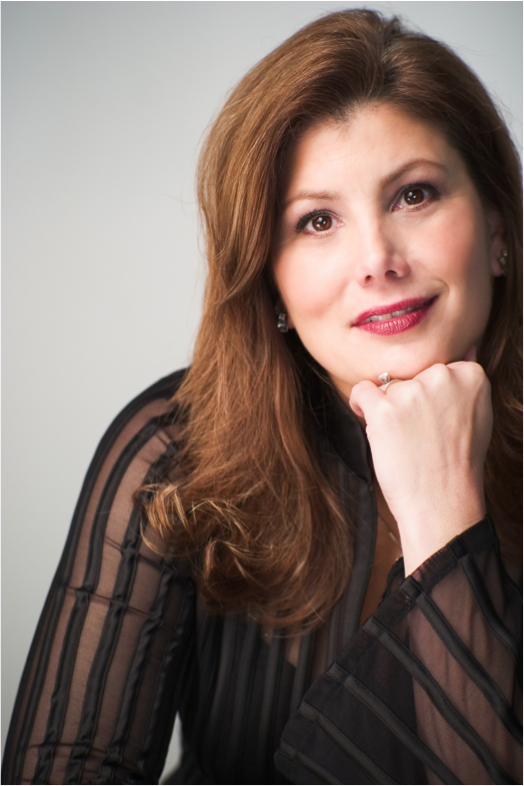 Rochelle has been a soloist with Princeton Opera, Piccola Opera of Philadelphia, Amato Opera of New York, Opera North of Vermont, Princeton Pro Musica, Princeton Chamber Orchestra, Palisades Symphony, Philomel, the Choir of Saint Paul’s Church, and the Chamber Arts Guild. Solo engagements include Bach’s Magnificat, Cantatas 140 & 161, and Easter Oratorio, Mozart Requiem, Solemn Vespers, and Coronation Mass, Handel Messiah, Haydn Lord Nelson Mass, Nicolai Mass and Organ Solo Mass, Beethoven Mass in C Major and Missa Solemnis, Faure Requiem, Williams Walton’s Façade, and Ravel’s Sheherazade. Musical theater work includes Saint Paul’s Theatre Group Oliver!, The Sound Of Music, It’s A Grand Night For Singing, and directing productions of Joseph and the Amazing Technicolor Dreamcoat, The Music Man, and The Sound Of Music. A full-time faculty member at Bucks County Community College, she conducts the Concert Choir and Madrigal Singers, and also teaches applied voice. Mark Rimple has received critical praise for his work as a countertenor, lutenist/multi-instrumentalist, and composer. He is a founding member of Trefoil and a frequent guest of The Newberry Consort and The Folger Consort. He has also appeared with Piffaro, the Renaissance Band, Pomerium, Melomanie, The King’s Noyse, and Ex Umbris. He can be heard on recordings of Medieval and new music by Trefoil, The Newberry Consort, The Cygnus Ensemble, Network for New Music, and New York’s Ensemble for Early Music. Mark’s compositions have been recorded by Melomanie and Duo Del Sol; he is about to release a new CD, “January,z’ featuring works for countertenor, archlute, viol, and harpsichord. He has composed for ChoralArts Philadelphia, Cygnus Ensemble, Melomanie, and Parnassus, among others. Mark is a Professor in the Dept. of Music Theory, Composition and History at West Chester University of PA where he directs the Collegium Musicum. He has lectured and taught ensemble music, early theory and notation at such institutions as Amherst Early Music, Madison Early Music, Interlochen Summer Arts Camp, and Pinewoods Early Music Week. John Mark Rozendaal directs The Viola da Gamba Dojo of New York, a program teaching viol to young children and amateur viol players of all ages. 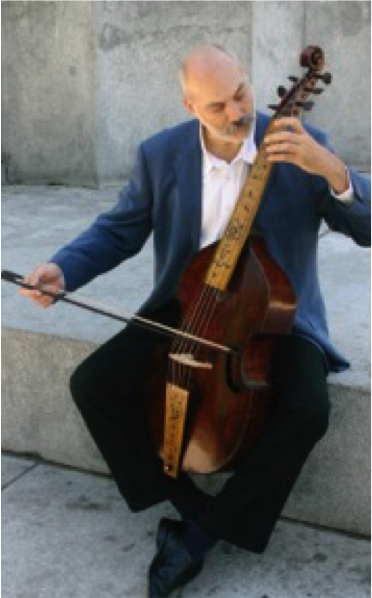 He served as principal cellist of The City Musick and Basically Bach, and has performed both solo and continuo roles with many period instrument ensembles, including the Newberry Consort, Orpheus Band, the King’s Noyse, Boston Early Music Festival Orchestra, the Catacoustic Consort, Philomel, Parthenia, The New York Consort of Viols, and Empire Viols. John Mark performs as a member of Trio Settecento with violinist Rachel Barton Pine and harpsichordist David Schrader, and as a member of LeStrange Viols and Brandywine Baroque. 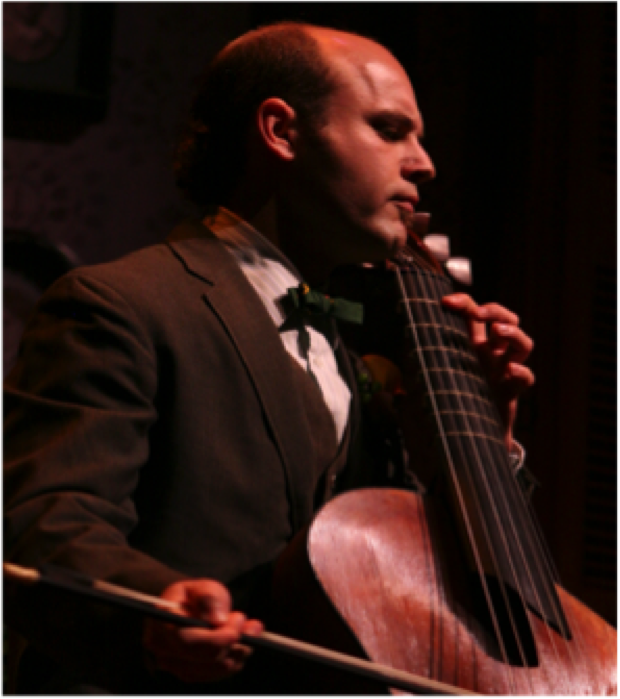 His viola da gamba playing has been praised as “splendid” (Chicago Tribune) and “breathtaking” (Sun-Times). William Thauer, historical oboes and recorders, performs regularly with The Dallas Bach Society and North Carolina Baroque Orchestra, and has served as wind principal of New York’s American Virtuosi since 1992. A Bach specialist, William has recently been a featured soloist in cantata performances with the Bach Vespers at Holy Trinity, Washington Bach Consort, Duke Vespers Ensemble, and Baroque & Beyond. 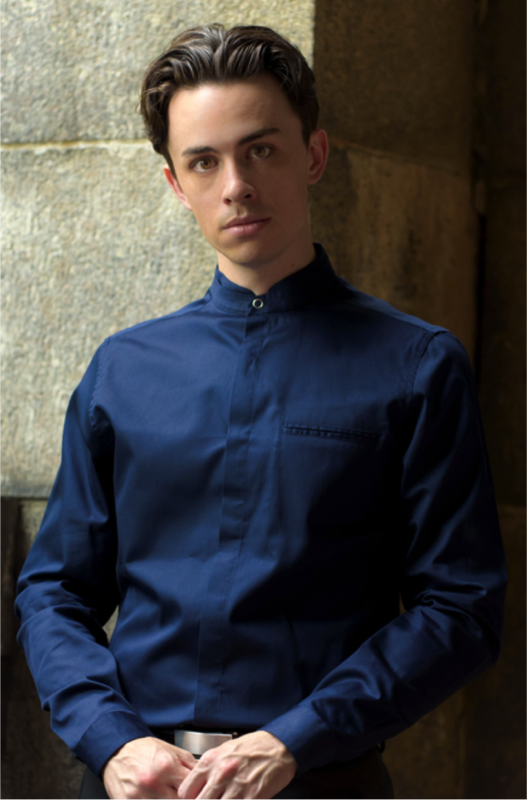 William has performed with The Handel and Haydn Society, Boston Baroque, Harvard Baroque Chamber Orchestra, Concert Royal, and l’Orchestre Baroque de Montréal, and in period instrument performances in several distinguished New York City venues. He has recorded for Atma, Reunion Studios, and Virtuosi, has prepared numerous editions of chamber and orchestral music from unpublished sources, and has written articles on oboes and their repertoire for the German record label, Ars Produktion. 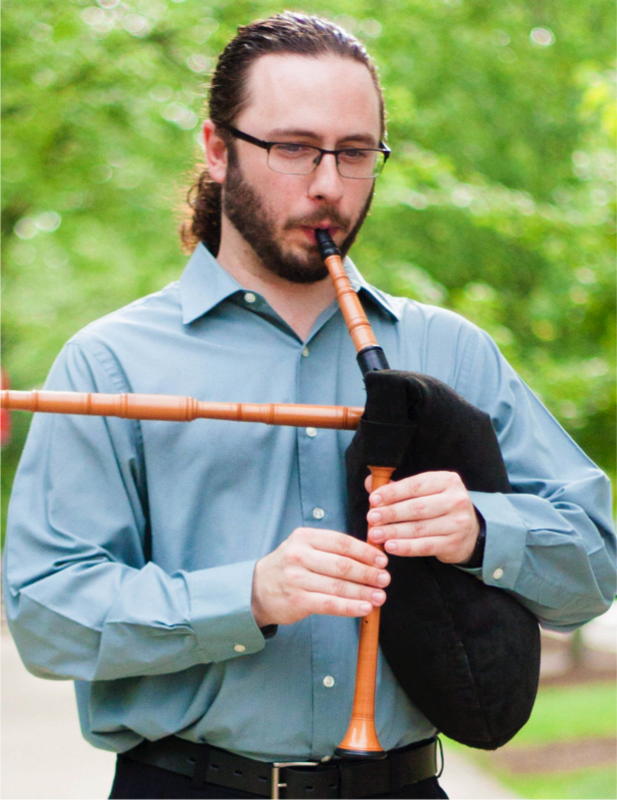 Charles Wines is a versatile performer on early wind including recorder, shawm, baroque oboe, dulcian, baroque bassoon, and historical bagpipes. He earned the B.Mus. degree in oboe at the University of Missouri, Kansas City, the M.Mus. in historical oboes at Indiana University, and is currently working on the D.Mus. degree in historical bassoon, also at Indiana University. He performs with Piffaro: The Renaissance Band, Philharmonia of Greater Kansas, Kansas City Baroque Consortium, and St. Michael’s Baroque Ensemble. He is artistic director of Forgotten Clefs and Opera Nova: Ensemble for Seventeenth-Century Music, and has performed with his ensemble at the Boston Early Music Festival. Charles is also an instrument builder and maintains a business selling double reeds for historical instruments.